I am almost done with my holiday baking spree. Baked a large batch of Chocolate fruit cake over the weekend. 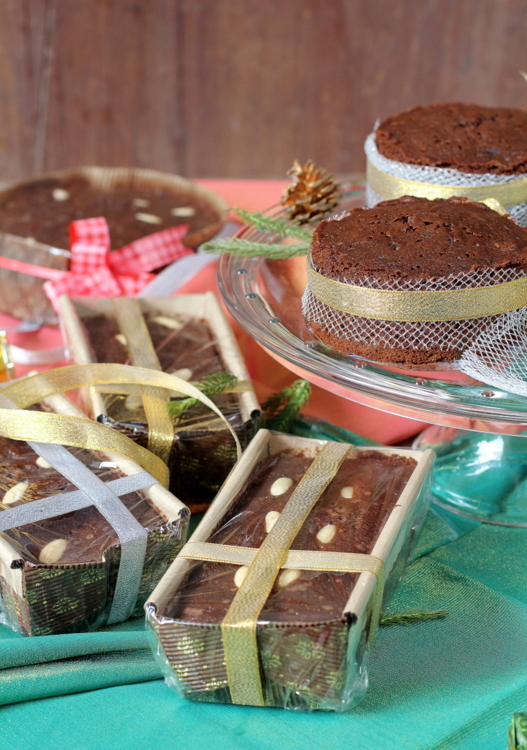 Most of the baked goodies have been wrapped and gifted to family and friends. During this time of the year, I usually bake a traditional fruit cake. 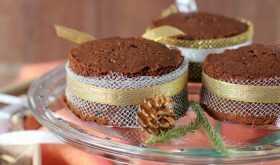 This season I decided to bake a Chocolate fruit cake recipe using the mixed fruit mix I had prepared the previous year. I am glad I baked this cake which was outrageously delicious. This Christmas fruit cake was a breeze to make since I did not have to prepare the caramel. 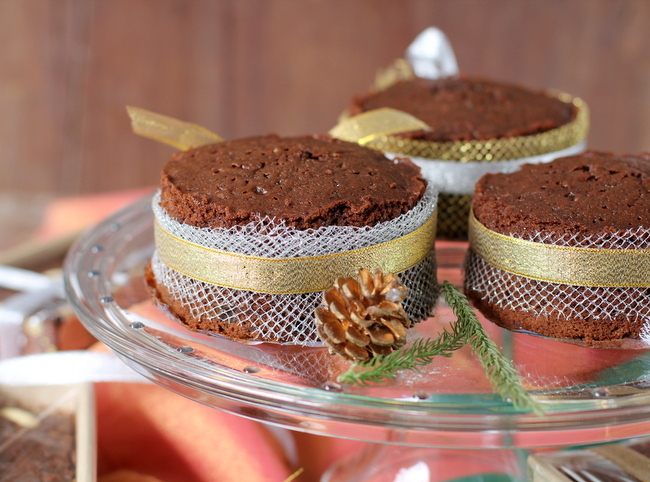 A sinfully rich Chocolate Fruit cake with mixed fruits that have been steeped in rum for over a year, cocoa powder and mixed spice. I adapted David Lebovitz’s Chocolate cherry cake recipe. I enjoyed baking this cake which has decadence written all over it. The preparation of mixed fruits for fruit cake can be found in my fruit cake recipe post. You can halve the recipe to make two 9″ cakes. With the below recipe, I made four loaves, two 4″ round cakes and one 6″ round cake. Pre-heat oven to 160 C. Grease four 7" cake pans and line with parchment paper. Sieve flour, cocoa powder, baking powder, baking soda, salt, cinnamon powder, clove powder and nutmeg powder. Keep aside the dry ingredients. In a large bowl, cream the softened butter for a minute. Add sugar and brown sugar and beat until the sugar is well blended. Add lightly beaten eggs, vanilla essence and mix well. Add a third of the dry ingredients and mix to combine. Add a third of the yogurt/buttermilk and mix. Again add a third of the dry ingredients and mix, followed by the yogurt. Repeat this process and end with the dry ingredients. Do not over beat. Fold in the chocolate chips, mixed fruits, glazed cherries and chopped nuts. Do not over mix. Pour batter into prepared pans till half full. Bake in a pre-heated oven at 160C for 55 mts and for 10 to 15 mts at 130C or until a toothpick inserted in its center comes out clean. Remove from oven and place on a wire rack to cool. Wrap in plastic foil and leave for 12 to 24 hours at room temperature. If you do not have glazed cherries, you can omit them. Use any nuts of your choice. If you do not have brown sugar, replace it with granulated sugar. The above recipe makes a lot of cake batter. You can halve the recipe and make 2 large cakes or 4 medium sized round cakes. Oven temperatures differ from oven to oven. For larger cakes, bake for a slightly longer time and lesser time for smaller cakes. Do not over bake or the cake will become dry. Check from 50 mts onwards. By Sailu Published: December 24, 2012 Looking for a Christmas cake recipe? 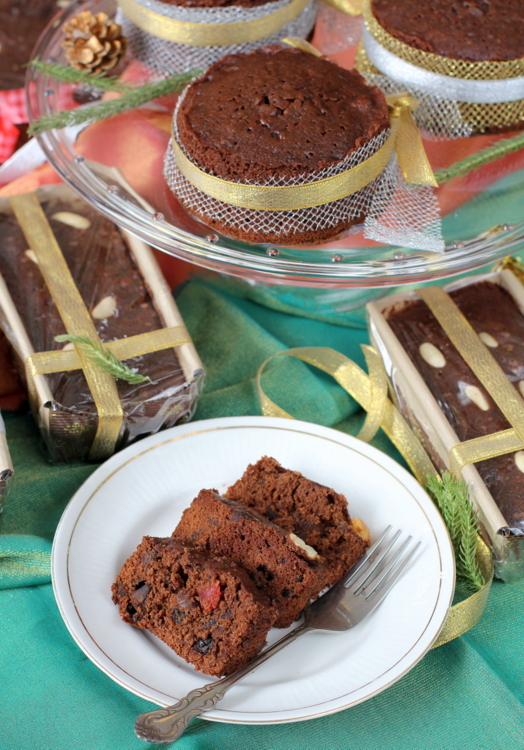 Try Chocolate Fruit Cake for a change from the traditional plum cake or fruit cake. I would advise you to invest in a small OTG (oven/toast/grill) for all your baking needs. OTG is the best. I’m a Malaysian. I baked this cake on thursday and it came out beautifully. It tastes good and my parents and siblings loved it. I used 1 cup finely granulated sugar and 1 cup light brown sugar. I did not have buttermilk and used thick yogurt instead. Loved it very much.. I’l definitely bake it again.